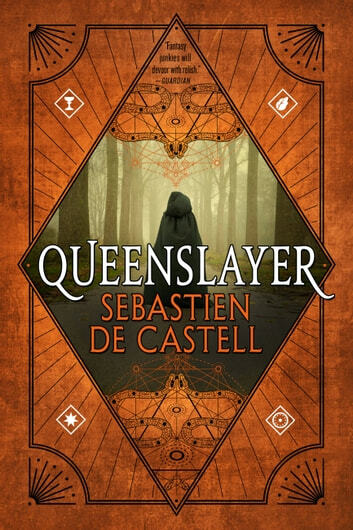 A failed mage learns that just because he's not the chosen one it doesn't mean he can't be a hero in the fifth book of an adventure fantasy series from Sebastien de Castell. Kellen Argos is an outlaw spellslinger with a bad reputation, a long list of enemies, and zero luck. When he accidently smears blood on the Daroman flag, he's dragged before the queen to be executed for his act of treason. Face-to-face with the young monarch, Kellen is offered a chance to save himself. If he can defeat the queen at a game of cards, he'll walk free...if not, his life is forfeit. But what begins as a game reveals a conspiracy against the queen's life. And now, Kellen is not only playing for his own freedom, but also for the future of an empire.